One who lives in love, does not need guns, for he has no enemy and is protected by God. Pastor Hyung Jin “Sean” Moon and his wife, Yeon-Ah Lee, created a dangerous sect. The Sanctuary Church deviated from the Unificationist ideals and reverted to fear, judgementalism and negativity; in complete opposition to Rev. Sun Myung Moon's teachings of Peace, Love and Unification. One's spirit mind never goes negative, that's the nature of the physical mind, which cannot feel the heart of others and judges externally, feeling no pain in hurting them with accusations. These are the traits of a person abiding only by the physical mind. That's what Sanctuary Church does. They don't understand basics of Rev. Moon's teachings; negative talk generates negative energy. We see Hyung Jin's sermons full with resentment... Obviously is real in his heart. I can feel compassion... But he should be mature, to understand, that will only send him to hell.. dragging there all the Sanctuary Church with himself. The spiritual mind always loves. It cannot even think of blaming. It takes all blame upon itself, for the sake of liberating God and humanity. That's when God's power is released; That's the essence of Father's teaching and life. As Mother says, "No matter how unjust the persecution we receive, we do not blame anyone, rather we love them." That's why we are called Unificationists. In Satan's world, however, there is no escape - you're always accused. Your heart is always in pain and agony. Resentment directly connects your heart to the resonance of Hell. Both sides feel pain, the accused ones and the accusers. It's inescapable satanic cycle. Why Sanctuary Church feels excused to create it? Are they blind? Don't they have hearts! Trapped Emotions made them like that. They block their conscience, making them instruments of evil spirits. Just the opposite, we should always be in the resonance of love. Accusations aim to press others down in Hell, but the resonance of love always searches to liberate the hearts of others. We should learn to recognize how satanic forces work, not to be misled. They are accusing, accusing and accusing.. until everyone thinks they have solution and will bring something better (CAUSA). On the way they feel excused to use dirty rumors and manipulative hate speech. Hyung Jin goes so extreme as calling Father's organizations 'Fraud', Father's wife 'Whore' and 'Lesbian' and his hard working witnessing members, "bozos" (Stupid and insignificant) and 'Punks' (worthless people' - a general term of abuse). Why? How Trapped Emotions work? Once we start cycling in the brain some unresolved problem, there are neurological connections created. By cycling same problem in the mind over and over again, they become stronger than any other connections and override all other logic. Finally all reasoning becomes subjugated by these stronger neurological connections. As a result the Spirit Mind (Heart) of the person becomes imprisoned by the Physical Mind (Brain). Now the heart is misdirected in an evil direction; resentments and evil deeds can be excused. Satanic spirits are masters in trapping people through this mechanism. This was Satan's greatest power. Ones trapped this way people will work under evil spirits influence. Once they go in spirit world they themselves become such evil spirits that will come and manipulate others. How such a person becomes an instrument of evil? To run away from his consciousness he has to constantly cycle excusing logic for his resentment. But that will not solve it. So he will search for external support and start massive multiplication through gossiping. That will bring temporal relief and false feelings of joy, but will not solve the problem. Many righteous and conscientious people were trapped in Hell in this way. How did Satan drag God's children to Hell? He uses fear and resentment. Unresolved pain in the heart, will inevitably lead to resentment and change ones perspective even to the point of neglecting all core Principles and sane logic. But SC have no remorse for doing that? Why? At first it is hidden gossiping - sharing displeased emotions, like Ham (DP p. 258). But once he finds enough support he feels the power to multiply evil openly and viciously, with no remorse, calling his own mother, "beach of beaches" and "theological lesbian". How much more bizarre things can go! All this seems strange and confusing if we don't understand the spiritual reasons behind. I have the ability to see ones lineage and what kind of spiritual influences are upon him. When I look spiritually, I could see 100 million historic resentful people doing returning resurrection through Sanctuary Church. Just few evil angels are sometimes enough to control and manipulate a person. But why so many are mobilized to trapped one pure child of God. These leading demonic angels control all the evil influences in the world. Yet now they are trapped in one person; doing everything to change his perception of reality; make his mind so blurred, even core principles are overpowered by the fixation on these trapped emotions. Why God and True Father allowed that to happen? Historic fallen natures and resentments can only be resolved if they reappear for a period of time and are reversed and resolved. In this case there are different levels of Indemnity to be completed at the same time; Individual, Family, World and Cosmic Indemnity. 1. On individual level: To qualify and enter the realm of perfection, everyone has to go through a period of complete rejection, yet 'gladly endure' - meaning overcome these heavy historic feelings without resentment. This is the very reason Father pushed away his own children once they have reached to the top of the growth stage. For the same reason many of our best leaders, lecturers and missionaries also experienced a period of complete rejection. Those who overcame could enter the benefits of the age - to grow to Divine Spirit. Those who failed, developing resentments, were trapped under Satan's dominion, or stayed struggling, confused and nonfunctional. They are easy pray for Sanctuary Church - having the same common base of unresolved feelings. 2. On Church level: To divide good and evil within the Church, God caries the providence of separation. All those who failed into resentment, humanism or other deviations of the Principle have to separate on the Cain (Physical Mind) side. The rest of the Church has to realize what's wrong with that and center on the Principle, cleansing itself from all humanism, criticism, gossiping etc. Therefore if the Church does not stand centered on the Spirit Mind people, in pure connection to God and the Principle, it will also fail into faithlessness; Goodness will be not established. In no way God can work if the Church is a mixture of good and evil, as it is right now. God is not clear. Confused members gossip and accuse. Principle education is not priority. Members don't even know the Principle. Thus, entering in the Age after the coming of CIG, we have to go through the indemnity period of the Divided Kingdom, to resolve that. 3. On Cosmic level:God wants the True Family to quickly make indemnity for all these evil forces to be liberated so that humanity can be free to enter CIG. Hyung Jin has no evil lineage allowing them to invade him. Definitely God and TF had allowed that for the purpose of indemnity. How historic indemnity is made? There has to be someone who takes all those feelings of historic resentment (Cain figure). They will come on him and he will feel them as his own. And there has to be Able figure on God's side, accused with all these resentments and accusations, yet gladly endure without responding (creating common base on the level of resentment). This way all these resentful spirits, dragged by Satan to Hell by resentment, will be liberated. The period of indemnity will last until all trapped emotions of resentment are reversed and liberated through Abel's victorious heart. Thus finally, the Cain figure - object of those feelings, will be able to open his heart and overcome. When that happens humanity will be free of all this evil spiritual influence. Satan will be left with no objects to work through. And as we see this is also a process of resurrection for the Evil Angels too. 1. of all saints dragged by Satan to resentment when pushed away. Indemnity is successful by reversing the 4 fallen natures, overcoming the historic resentment and obediently follow God's representative - TM. That's why Father blessed him, "to relieve.. the bitter pain of the cosmos.. have to overcome the bitter pain.. of resentment from three eras -- the Old, New and Completed Testament Ages." True Mother is the only woman in human history that showed absolute obedience and overcame all the historic resentments against husbands. Now she is taking the most difficult indemnity, to be accused by her own children. Yet, spiritually, this is the love and grace of God and True Parents, who want to quickly liberate all of humanity and the whole spirit world, including Hell. Everything has to be restored to God's all embracing love. So many people in history have become trapped in Hell because of Gossiping (sharing displeased feelings - thus multiplying evil). Yet, this problem is mostly due to mothers. Instead of teaching their children to love and respect father, they have heartistically shared displeased feelings against husband with their children. The hearts of their children thus became twisted and satanic. Intimacy for them was to find common base to gossip. They knew no other love, than sharing such negative emotions. Mothers made their hearts satanic. Now True Mother, the only woman that didn't do that, is taking the Indemnity and the accusations for all these mothers in history. Her son has to accuse her and resent her, on behalf of all these children trapped in Hell. Divine Principle best describes this process in the story of Ham. Father clearly explains that this was because of Noah's wife, constantly accusing him and transmitting that to her children. What Ham did was multiplication of his displeased feelings. This was Gossiping, against the God's representative - direct expression of the 4 fallen natures. DP gives the key points of this evil process. What Hyung Jin is doing is exactly that. He multiplies his displeased feelings against TM on world scale. Now gathering representatives in all countries - on the common base of resentment (unresolved pain). And through threats triggers the fallen nature and provokes doubts, insecurity and fear - all low resonance, allowing Satan to invade. How Lucifer deceived Eve in the Garden? He twisted the logic.. He recreated his problem in Eve. Hyung Jin also changes all DP logic.. he reverses DP same like Lucifer. Hyung Jin's speeches are short inspiration and than accusations and accusations. In YouTube videos they read 2 min HDH and than have 1 hour accusations. That's really satanic. Nothing to do with Goodness, Truth, Beauty and Love. Can we accuse that? No! It's painful. It hurts God. It makes us sad. The logic is also Satanic; tells you something, you say yes, than makes emotional conclusion, not connected with the logic. But in the brain this immediately creates neurological connection with this conclusion. The memory stays in the mind associated with the emotions he stirred up. Thus resentful people recreate the hell in their own heads into the minds of all those who are listening to them. Soon listeners cannot free themselves from the same emotions of resentment and hate. Now they don't know what to do with these emotions, but multiply around. It goes bizarre, to the point of calling TM in video lectures, "the beach of beaches", "the hoer of hoers", "theological lesbian" etc. All signs of heavy trapped emotions. In this state a person is abject of enormous evil spiritual forces, using him to generate more and more hatred and evil energy, which is projected against the person doing God's Will. Now you understand why all God representatives were so resented and killed in history. True Family is paying historic indemnity and takes the burden of all unresolved evil of the world with the sole purpose of quickly liberating the whole of humanity. We were supposed to liberate that, but we failed. We have no right to accuse. We can pray and take responsibility, but cannot interfere with Hyung Jin's responsibility. Yet our prayers and love can help to liberate him. Neo-Moonies Sean Moon and brother, Justin Moon, founder Kahr Firearms Group Bizarre AR-15 Church Ceremony. World Peace and Unification Sanctuary holds gun blessing ceremony Couples tote AR-15 assault rifles to Pennsylvania church blessing. 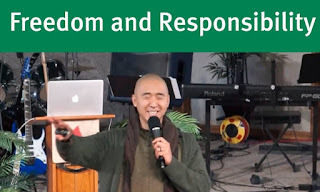 What to Know About the World Peace and Unification Sanctuary Pennsylvania church blesses couples bearing AR-15 rifles Pastor Hyung Jin “Sean” Moon and his wife, Yeon-Ah Lee, lead a marriage blessing ceremony at World Peace and Unification Sanctuary in Newfoundland, Pa. Thank you so much for this detailed and sincere analysis! The Heart in the Resonance of Love has no negativity and resentment, it have forgiven the unforgivable and loved enemies unlovable. In the Providence of Restauration when Satan invades God's chosen People, God sent prophets and ask for repentance. If the people do not repent then God divides Good and Evil and apply His Judgement. exemple is Samuel concerning Elihah's family:1.Samuel chapter 2-3. Jeremia chapter 11. The words of prohets comes from God and they are judgemental. Even the prophets were scared to tell the truth because it is painfull, but they had to obey God. I think they are a lot of things in our Federation we have to repent. I thank HyungJin Nim for His courage and painfull task He has to do. As Eliah the prophet felt alone and against all. We also can hide ourselves in speaking about True Love and forgiveness. But open your eyes and see what has happend in Cheong Pyeong with the DaeMoe Nim providence and how this medium pushed to stop True Father's respiratory equipment. Who was against it : HyungJin Nim and KookJin Nim. Let's open our Hearts and repent ! Question: How that gives right to HJN to deny all core Principles? How that gives him the right to claim TF did not create perfect Family - meaning he is not the Messiah - he never reached the realm of God's Direct Dominion. Because if he did, it's only as a Perfect Couple - individual cannot do it alone. This is such a great example of Trapped Emotions - Cycling in his head over and over again, if TF was supposed to go to Sp.W. Fixated on that problem, Physical Mind creates inescapable prison.. starts blaming - judging Externally - from Humanistic view point. Now resentment is excused with "I'm the only one telling the truth". And than he starts talking everything against all TF lived for and was teaching us. How that's the Truth, that's against the Truth - that's Satanic! Now is OK to teach against Muslims.. we don't have to be Unificationists anymore. Now we love each other by teaching hatred. Who cares TF invested so much for uniting religions. Trapped Emotions makes us so fixated on some fiction problem, that now we can destroy all the foundation of our faith. Destroy the first perfect 4 Position Foundation - 3 positions are enough.. How is that possible!!?? It is not HJN to accuse - it is to liberate him and all members, trapped in this inescapable Hell. We have to understand: They suffer trapped in this logic - from that state they have no freedom to do anything else, but accuse and accuse.. multiplying resentment. It's a non stop hell in their minds.. only talking it brings some false, temporal relieve. They are not guilty, SATAN uses that Mind Trap to multiply his Will. One fact that supports this article is that when TF prayed over HgJN and his wife when they were crowned, he prayed that their course would involve gaining victory over resentment. I think you article is correct about that. God moves my heart, every time when I communicate with Him. He is amazing! His Heart, once you get to know Him, is always loving.. giving everything to liberate even those from the bottom of Hell. My prayer is for SC to experience God's Heart, because if they do, their resentment will automatically disappear. Your piece is brilliant. Totally moved my heart. This is a must read for all members. Thank you for posting this! patient endurance, quieting the mind, i'm finding a pathway into Hyung Jin Nim's heart and his member's hearts. your explanation about the thousands of evil leaders influencing his mind is understandable. funny that even he admitted in his fireside chat video that he was collecting all the Cain members in SC. i do believe in practicing exactly what Father taught us to win Cain. Thanks for sharing. May the light of love continue to shine. With this heart, we will never have Trapped Emotions and Resentments! The problem, as I see it, is we are looking outside ourselves for resolution. The Kingdom Of Heaven Is Within You, people! Forgive, even if they don't change their ways, simply because it frees your own heart. Resolving resentment and guilt. That's the key to the Kingdom of Heaven. And you don't have to wait for the other that you resent to repent in order to forgive. The key is within you. Craig, that's deep: We are in the age after the coming of CIG... The only thing needed is Citizens of CIG. But that means people with united Mind and Body.. People who grew to Completion stage.. can feel God's Heart and communicate directly with him, as DP explains! no SC can deviate us in Resentment, Accusation.. Instead, we will be able to win and restore them with Love.. Restore the whole world actually! Who is writing this article? You can see 70,000 bad spirits working on HJN and millions in SC. Did you tell him about this article for a response? What's your qualification? HJN's is that he's the son of the Messiah. I don't know how you can evaluate him. It sounds like you have some gossiping spirits yourself. I refuse to allow you to slander HyungJinNim. Unless you have walked in his shoes, you are not qualified to utter even a single word of judgement. Do not spread your lies as if they are truth. Writing a whole page as if it came from higher authority. God will weigh the heart. Best be silent. Leave people to their own thoughts. We have our own original mind. Don't tell us what to think by blurring it all out in one mad intellectual rant. I'm sorry! No one needs to walk in the shoes of gossiping, resentment and distorting Father's words... It's evil! We don't need these shoes. He should stop it. History will be full with pain if he continues this evil road. Thanks for the correct expression, HJN is "blurring it all out in one mad intellectual rant"! These is result of his Trapped Emotions - he is not on himself. Read the article, Satan is to judge, HJN is to be liberated. We understand, it is his failure to overcome resentment, but we cannot judge him for that. We can only reveal how Satan trapped him. What the heart of resentment weighs? Enough to send you to Hell. As Unificationists we don't want anyone go to Hell. Love is eternal! HJN says TM will go to Hell.. If that's his feeling, as a filial son he should be ready to die for her and show absolute loyalty, to the point of winning her heart. But he quickly jumped in resentment, same like he did before towards his older brother. And than, HJN multiplies and multiplies evil. I am honestly as tired of the attacks on HJN as I am of his terrible actions against True Mother. For goodness sake let us all just get on with spreading Gods word and giving the Blessing, that should be using all our energy instead of these endless tirades against HJN. None of us is without sin and who knows what we may do in the future. Wishing HJN to overcome and do not continue with his resentments. BUT SINCERELY, Andy, you don't call for peace, you call for give up and allowing HJN to destroy the movement. Truth is Truth. HJN has to stop with the hate talk. It's Evil! Does the US Gov. believe in family unity? Yet the Neo-Moonies Sean Moon and brother, Justin Moon, founder Kahr Firearms Group did The Bizarre Story Behind the AR-15 Church Ceremony of World Peace and Unification Sanctuary holds gun blessing ceremony Couples tote AR-15 assault rifles to Pennsylvania church blessing What to Know About the World Peace and Unification Sanctuary Pennsylvania church blesses couples bearing AR-15 rifles Pastor Hyung Jin “Sean” Moon and his wife, Yeon-Ah Lee, lead a marriage blessing ceremony at World Peace and Unification Sanctuary in Newfoundland, Pa.